A genetically modified patch of skin could act as a built-in blood glucose meter. Painful and inconvenient, needle sticks are part of daily life for many people with diabetes. Wouldn’t it be great if there were some high-tech wearable that could monitor blood glucose levels continuously and noninvasively — that is, without the need to pierce the skin? We’re not there yet, but we’re getting closer. The FDA just approved a skin patch with a small through-the-skin wire that delivers glucose readings wirelessly to a wand-like reader — but the patch must be replaced every 10 days. And researchers at MIT are doing very preliminary research on tattoos that change appearance to indicate changing glucose levels. Now University of Chicago scientists have taken these ideas a step further. Working with rodents, they’ve endowed skin itself with the ability to track blood glucose and are at work on a system that could give at-a-glance insights into all kinds of blood values. The team, led by cell biologist Dr. Xiaoyang Wu, used stem cells and the gene-editing technique CRISPR to create skin cells that emit fluorescent light in a particular pattern as blood glucose levels rise. The light is invisible to the naked eye but can be detected by a tiny electronic sensor that might be embeddable in a wristwatch or bracelet. If this preliminary research pans out, the skin sensor-and-device combination could make possible continuous, noninvasive monitoring of blood levels of cholesterol, sodium, iron, bilirubin, and liver and kidney enzymes as well as glucose. A gentle vibration, ring, or flash would alert wearers when levels got out of whack — and possibly alert their doctors or caregivers. The system Wu is developing might even be able to spot tumor cells in the blood that indicate the presence of cancer — and Wu suspects it might also be able to indicate when a stroke is imminent. He calls the technology “a flexible system to give the patient early warning,” adding that his team is now working on advancing the research in humans. The skin sensor would be cultivated from a patient’s own cells and then grafted back on — possibly on the arm — in what Wu describes as a minimally invasive procedure. “It may appear a little different,” he said of the modified skin in an email to NBC News MACH, but the graft area would be tiny and inconspicuous. If all goes well, Wu is hopeful that the graft and device technology will be commercially available within a decade. And there's more: Wu previously created skin cell grafts that can boost the production of insulin, the hormone people with diabetes take to lower blood glucose levels. 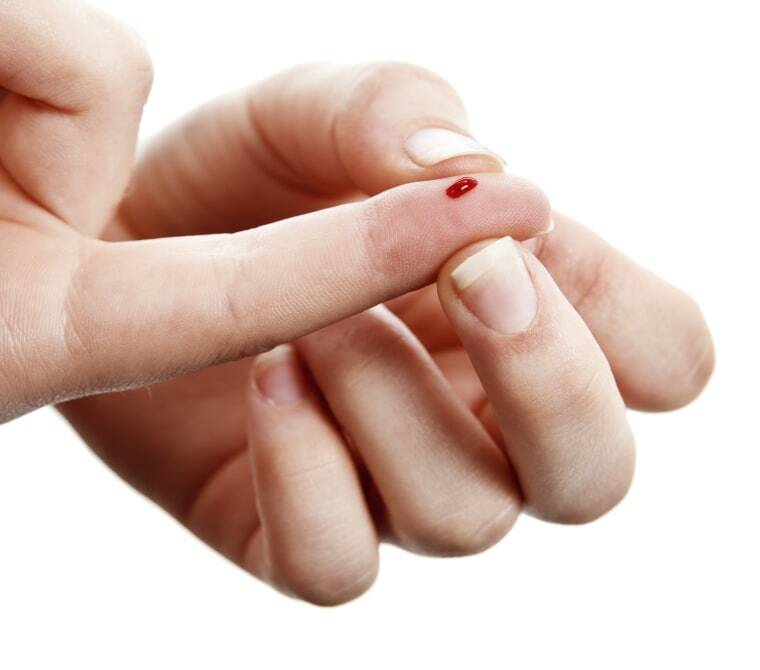 By combining sugar-monitoring and insulin-treatment grafts, patients may someday be spared both glucose-testing finger sticks and insulin injections. Consider it a potentially profound medical advance that’s only skin deep.